many adventures on your way and where you can wake up each morning doing the things that brings you most happiness. INUKA is an opportunity where you can make your life a masterpiece and live a great story worth sharing. 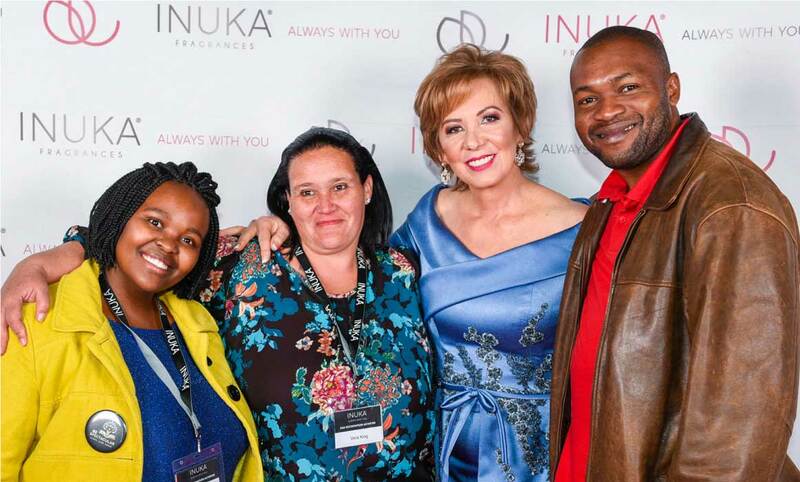 INUKA is a Network Marketing Company that sells luxury high quality cosmetic and fragranced products at wholesale prices to independent entrepreneurs. Our vision is to create a platform for anyone seeking to obtain financial independence to supplement, replace or exceed their current income - embracing the part-time sales person and the more serious career builder. With INUKA, anyone can start their own business and share in our top-quality products, rewarding earnings and compensation plan. We make it possible for our Members to earn a guaranteed income, rewards and travel experiences. Our hard-working Members are also guaranteed of additional quarterly and annual cash rebates. INUKA Kit, also known as a Business Kit. Our Compensation Plan rewards our business entrepreneurs for selling products and for promoting the INUKA Business Opportunity. dinners and family weekend breakaways. or around your house or reinvest back into your business to earn more profit. bill, cellphone contract and much more. achieve set challenges as well as to top performing leaders and newcomers. We know that being an entrepreneur takes planning and perseverance. towards building your sustainable business. INUKA hosts Quarterly and Annual Events to keep in touch with Members, to provide information and training as well as to recognize and reward our hard-working Members and Newcomers.